A search billed as highly inclusive ended up picking John Williams, a white, fifty-something insider, to run the key Fed district. He may have been the best candidate, but on top of managing markets and regulating Wall Street he’ll be on the spot on diversity from day one, too. 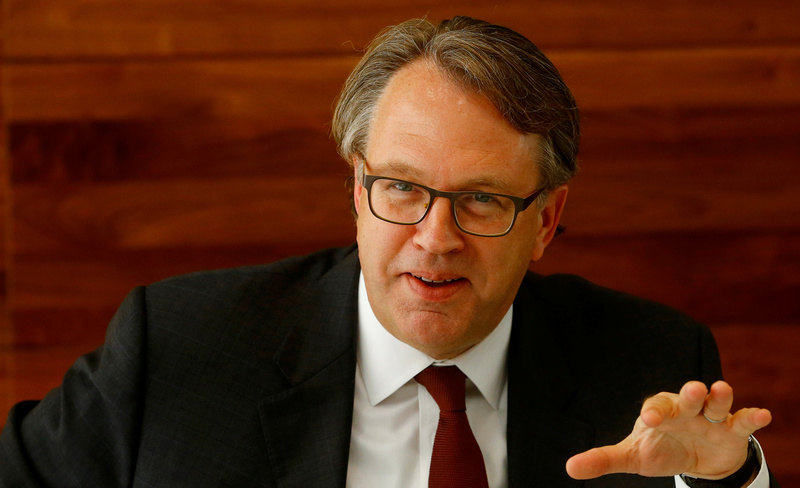 President and Chief Executive Officer of the U.S. Federal Reserve Bank of San Francisco, John Williams, gestures as he addresses a news conference in Zurich, Switzerland September 22, 2017. The Federal Reserve Bank of New York on April 3 named John Williams as its next president. Williams, currently the president of the Federal Reserve Bank of San Francisco, will replace retiring chief William Dudley on June 18. The New York role is often regarded as the second-most influential at the U.S. central bank because it manages the Federal Reserve’s market operations. Directors of the New York Fed said they had conducted an “exhaustive and inclusive” search.